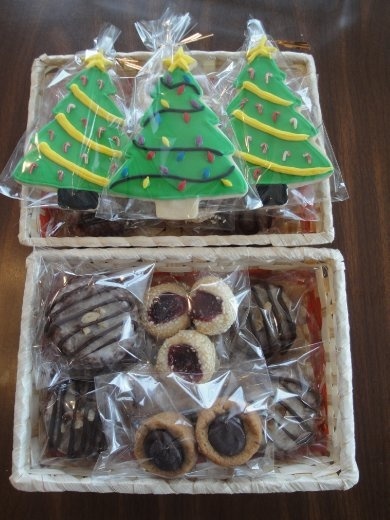 I have been enjoying baking sweets this season. 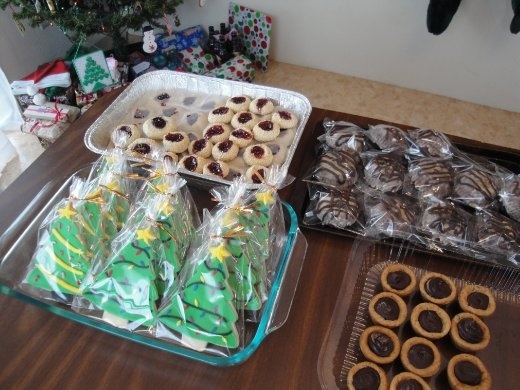 Fancy Walnut Brownies, Chocolaty Chocolate Chip Cookie Cups, Raspberry Thumbprints, and decorated sugar cookies all made it into my Christmas Sweets Baskets this year. 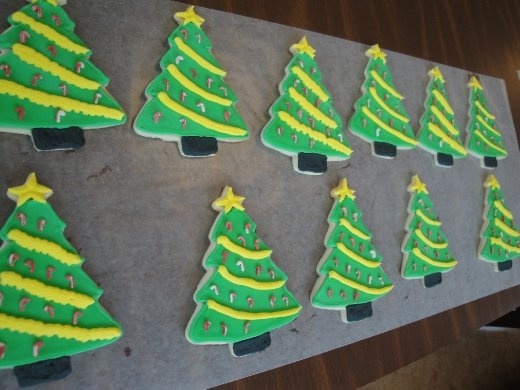 Despite questioning my sanity while decorating my sugar cookies, I was happy with how they turned out. And the process did start to go a bit quicker after the first 15 or so. I'd like to add, that flipping the candy canes so they were two different directions was a lot faster than determining which side was both "up" and "front side" for each individual bulb, not to mention making sure the colors were alternating correctly. I made Christmas Sweets bags for my favorite librarians on Torii. They were so happy! 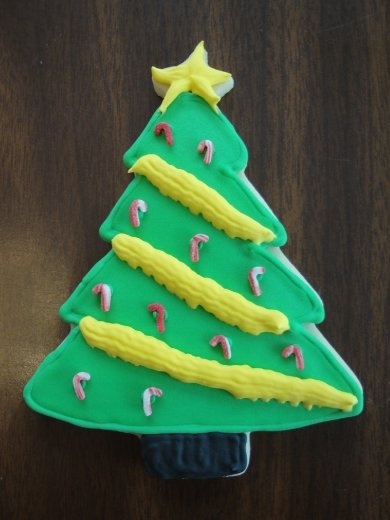 And they even had a new cookie decorating book for me to check out to get some new ideas from! I found the super cute bags at the 100-Yen store. They were perfect sized to tuck a few sweets inside. Although Christmas is not a traditional Japanese holiday, it's definitely taken over Okinawa. 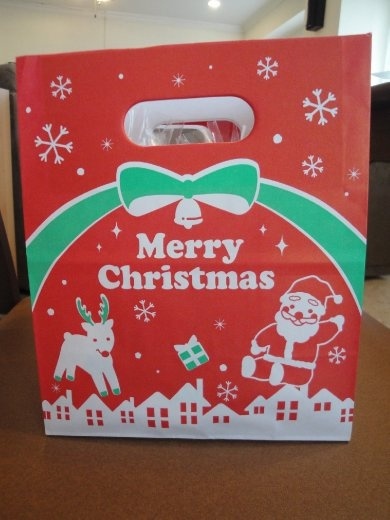 Many stores are decorated for Christmas and you can order your Christmas cakes in the Japanese grocery stores. 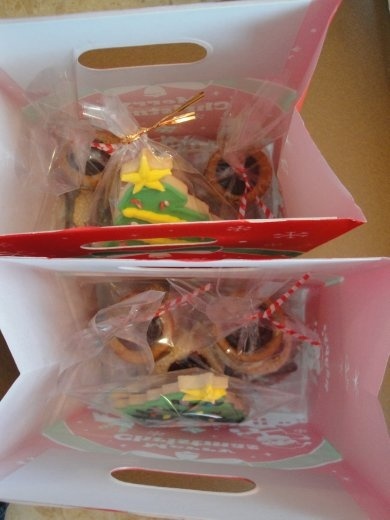 I delivered cookies to the Torii Post Office staff, and Christmas Sweets Baskets to the two Housing Agencies again. So much fun! 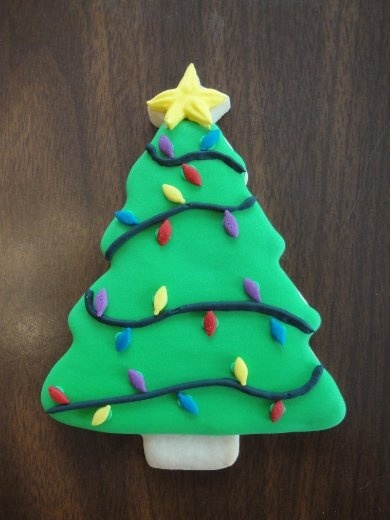 I love how yummy the holidays are, don't you?! 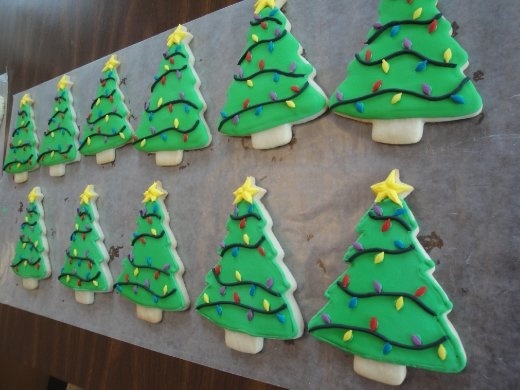 If my eyes don't deceive me, you had to use a little dab of frosting to make each of the "bulbs" stick?? You are definitely a crazy little elf!! hahahaa Hope you had some Christmas music playing to help you bake! 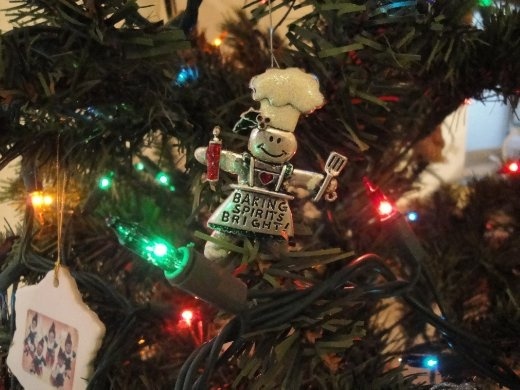 I wish I could find a pin like that for Aunt Gin and Gramma, they definitely are our year round bakers here. It's a cute play on words for sure. Merry Christmas Arielle & Brandon. Hope your kuchen tastes as good as ours!! I miss your " kuchen"